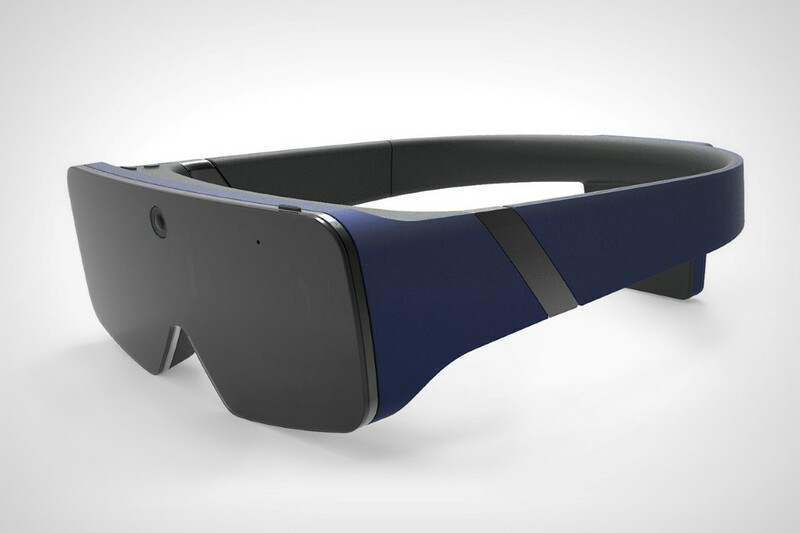 Home » Yanko Design » Augmented Awesomeness! 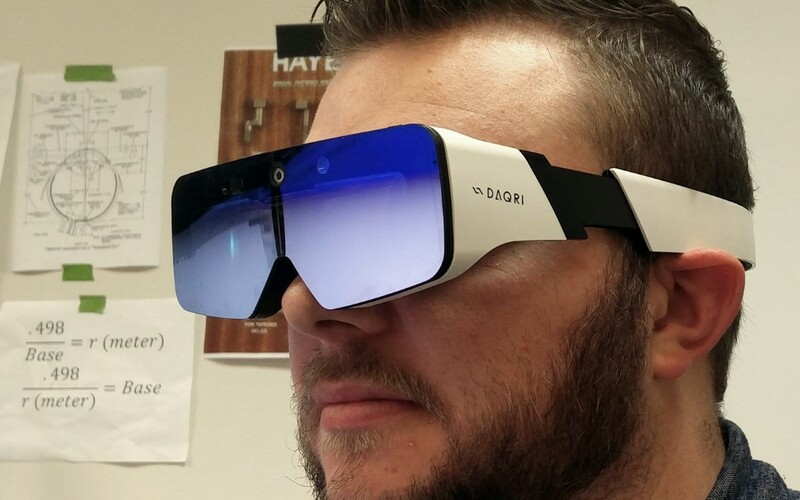 I heard a very profound quote about the AR/VR future the other day. 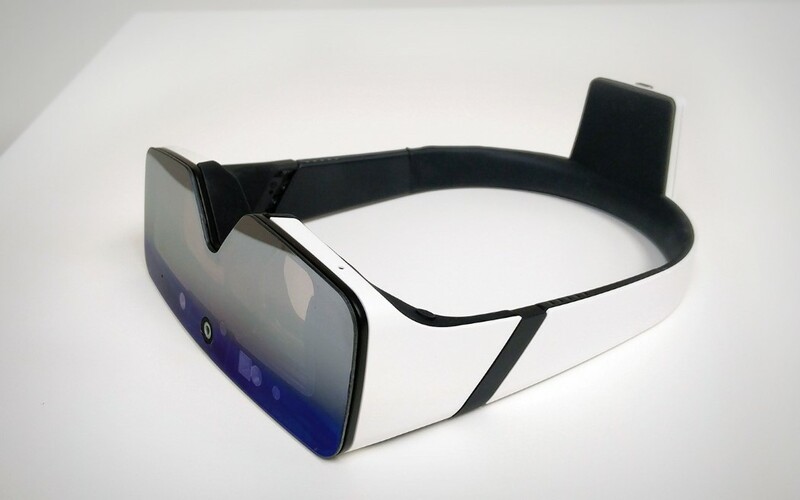 It was about how AR surpasses VR in possibilities, because of its ability to superimpose virtual on top of real. AR, the quote implied, is the work, while VR is the vacation. 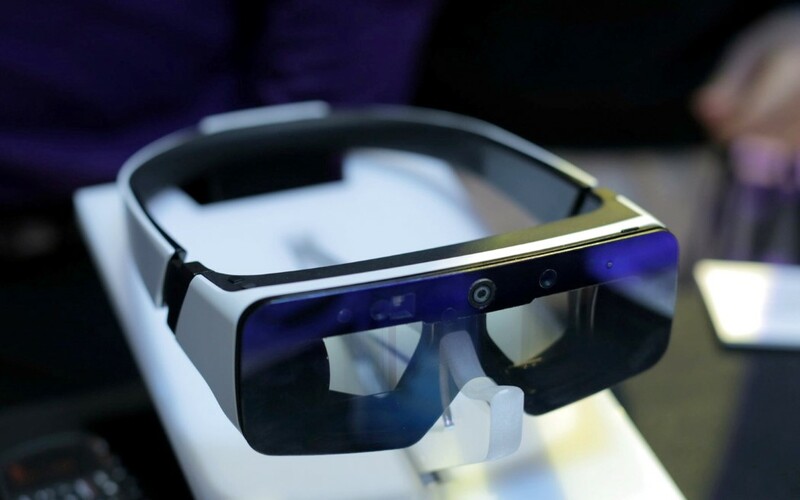 While most large companies like Magic Leap haven’t really begun retailing (or even releasing) their technologies, there are other companies in the mix giving AR a shot. 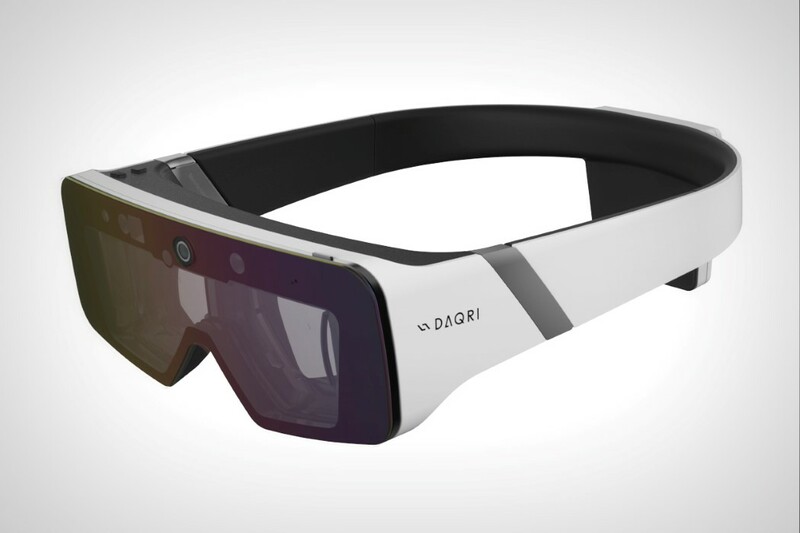 Daqri’s smart glasses that debuted at CES last year look like the granddaddy of the 3D specs you wear at the movies. 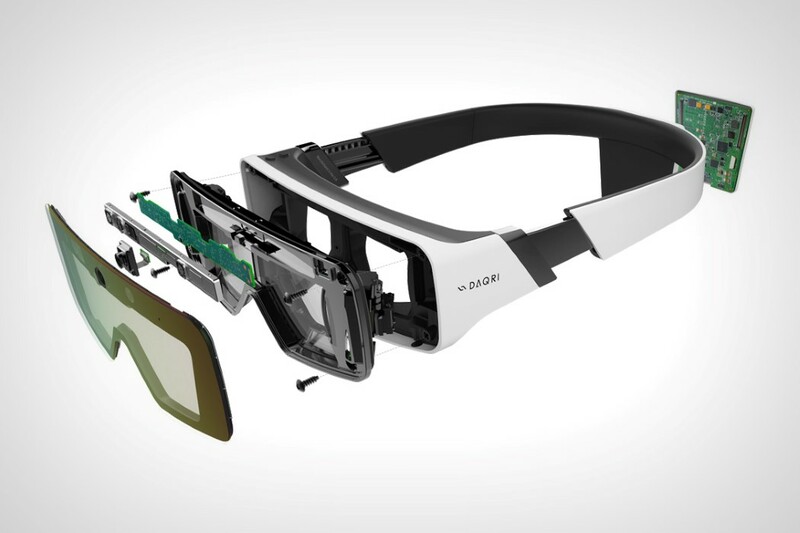 The flat glass on the front, and the signature lens style makes them look familiar, yet much more powerful. 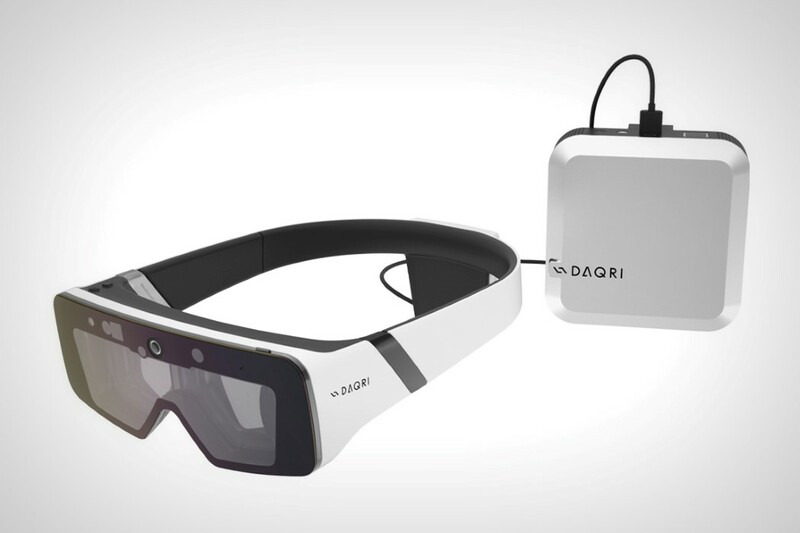 Image capturing and depth sensing cameras sit right above the lenses, while most of the tech (batteries included) houses itself in a pocketable pack that is connected to the smart glasses. That’s rather impressive, considering how the competition really hasn’t tackled the portability factor efficiently yet. Plus, I’m really liking how the aesthetic detail on the side, namely the black strip, converts into a functional detail, expanding outwards to allow for size adjustment. Neat!